The scoring is tabulated so that you get the SINGLE HIGHEST point value for each pick—that is, if you get number ten right, you don’t get 13+3, you only get 13. Last year, listeners of the /Filmcast were able to play along at the Summer Movie Wager site. Likely, this will be the case this year, as well. If you’re a fan of film and aren’t listening to /Filmcast, I highly recommend you check it out. It is highly entertaining and contains some intelligent criticism. And, without further ado, let’s talk Summer box office predictions. Following the foregone conclusion of the latest Avengers iteration being anointed the top spot, there is a rather fierce competition for the number two. Toy Story 4 has historical figures on its side—the last two Pixar sequels and Toy Story 3 all surpassed $400 million domestic in Summer months. The live action Disney adaptation The Lion King, on the other hand, holds a cushy release date in mid-July. It will storm in on opening weekend in a mostly uncontested field (Spider-Man: Far From Home will be the only competition, and it will be in its third weekend). Then, in all likelihood, it will hold strong through most of August. It probably won’t lose the top spot on the weekend charts until Hobbs & Shaw. August shows a number of young audience films on the slate—Dora and the Lost City of Gold, Artemis Fowl, and The Angry Birds Movie 2—but if The Lion King hits as the nostalgic, four-quadrant event that Disney hopes, then this competition will take a mere pittance out of its overall box office. In short, the 2-3 line could be a close one. Toy Story 4 has the Pixar brand on its side, not to mention a significantly stronger marketing push than The Lion King, which is currently taking a backseat to the topsy-turvy Aladdin campaign. But The Lion King has the potential for more longevity (Toy Story 3, it should be noted, did fare very well throughout the entirety of Summer 2010, against some stiff competition). I give the edge to Toy Story 4, whose seasonal box office I don’t see flooring below $400 million, and whose ceiling could raise as high as $600+ million. The Lion King is a more volatile option, as its play for long-tail numbers depends on its initial reception. It could bomb as low as $200 million, or it could slowly inch its way through August toward a $500+ million finish. Of course, either film could conceivably trip over poor initial reactions, closing under expectations and leaving room for an untested property to surprise. 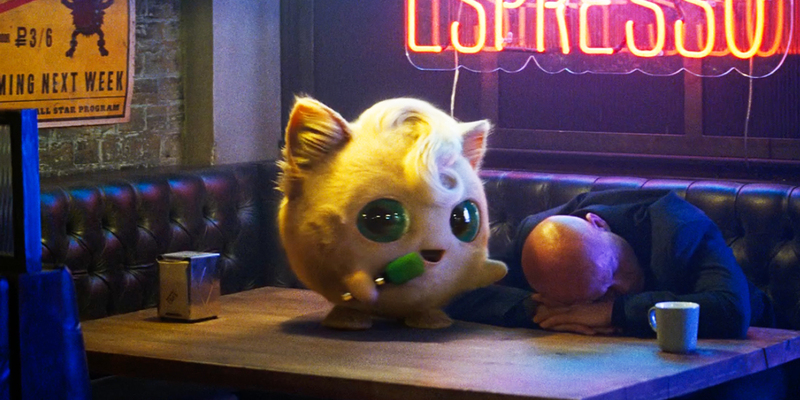 Enter Detective Pikachu, a massive video game IP translated to screen. Will this imagining of the Pokemon universe bring the millions upon millions of Pokemon Go users into theaters? It will need to in order to compete against Avengers: Endgame, its direct competitor in the month of May. The trailers for the film bred large social media reactions, and the IP is undeniably popular across multiple generations of gamers. As far as a broader audience is concerned, I question if the appeal is there. All the same, I see a bright future for the film. The fourth slot may be wishful thinking, but I think its potential is too promising to ignore. It is the lower half of the top 10 that is more difficult to suss out. There are plenty of big studio plays this Summer, but they are uncertain draws. The tumultuous releases of X-Men films Dark Phoenix and New Mutants (likely the last we will see of this iteration of the comic book franchise) spell doom for their box office performances. I don’t even trust that the current release date of New Mutants (August 2) will prove accurate. Dark Phoenix, on the other hand, seems to be more firm in its release date, given the resurfaced marketing campaign. But I doubt the film will live up to expectations and beat its competition. Other franchise entries like MIB: International, Fast & Furious Presents: Hobbs & Shaw (got to live a double ampersand title! ), and Godzilla: King of the Monsters all look paltry compared to the clear box office champions of the season. This new Godzilla/Kong franchise hasn’t had an entry surpass $220 million, adjusted. The last Men in Black installment made a meager $199 million, adjusted. Having International be a soft reboot may help its cause, but I don’t foresee it playing strong against its many June competitors. Hobbs & Shaw is tangentially part of one of the most financially viable franchises in contemporary film, but a lot of its financial success comes from overseas. Not to mention the film is not a direct sequel. From what we’ve seen from other tangential franchise films, most notably last year’s Solo: A Star Wars Story, audiences will not come out in unconditional droves to support a franchise film without a number in its title. There are a number of question marks hanging out in this year’s slate of Summer releases. Smaller but no less high profile films—Once Upon a Time in…Hollywood, Rocketman, John Wick: Parabellum, Yesterday, Shaft, Brightburn, and Scary Stories to Tell in the Dark—occupy various weekends across the season. Some have strategic release dates that could give them bumps on opening weekend (Hollywood, Scary Stories, John Wick). Others have a harder path to success (Brightburn, most especially). Rocketman and Hollywood, I believe, have the greatest path to success. They are counter-programming measures to the big budget, action-oriented Summer releases while also being high profile in subject and talent. Rocketman could mimic (in less tall order, mind you) the success of Bohemian Rhapsody. Release date will be a hindrance to this, but audiences not particularly interested in superheroes, Disney fare, and animation could come out for a music biopic. If so, Rocketman could long tail its way into the top 10. Quentin Tarantino’s only other Summer release to his name, Inglorious Basterds, is the second highest grossing of his oeuvre (third, adjusted). That gross, however, is well under $200 million. Hollywood will likely need to match Basterds in order to sneak into the top 10 and out-gross it to move past the eight spot. And that’s about all there is to it. This year will have much of the same in the top 10—superheroes, animation, action films. But the counter-programming fare should not be undervalued. As usual, it will probably be more intriguing to me to watch the box office numbers than most of the movies themselves. But every year has its share of pleasant surprises. I love this contest. I’ve been predicting the Top 10 summer box office hits since 2012. I think you have done a great job at making your selections. Comparing your choices with mine, we are surprisingly similar. Our Top 10 movies are exactly the same actually. The only difference is the placement. We never differ by more than 1 spot…with one exception: Detective Pikachu. You have it 2 spots higher than I.
I too struggled over Toy Story vs. Lion King. Those two should occupy the #2 and #3 spots. I’m still not convinced which one will make more. You’d think this would get easier. Good luck!